New Honor 7X and View 10 smartphones mark Honor’s latest push for European market. Honor has unveiled two new high-end smartphones as it makes its latest push to grab a hold in the European market. The Chinese firm, owned by Huawei, today launched the Honor 7X and View 10 smartphones at an event in London, marking the first time the devices have been seen outside of China. Speaking at the launch, Honor CEO George Zhao noted that the new devices marked the start of the company “redefining” its global strategy to mark its two anniversary of launching in Europe. Zhao revealed that Honor, “is becoming a real global brand”, and will be focusing on fast-growing markets outside of China such as Russia, India and Turkey. The ultimate goal is to be a global top five brand within the next three years, and a top three brand within the next five years, Zhao said. Although China currently makes up 85 per cent of Honor’s global revenues, Zhao said that the aim is to shift this over the next five years so that by 2022, 60 per cent of revenue will come from outside of China. The Honor View 10 features new AI-powered tools. The new devices will be a key part of this drive, Zhao revealed, with the Honor 7X is the company’s latest addition to its flagship range, featuring high-end hardware at an affordable price described as “unbeatable value" going on sale for £269 from today. 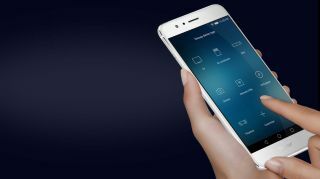 Zhao also unveiled the new View 10 device, marking the first time that the company’s cutting-edge devices have been available in non-Chinese markets. The View 10 looks to set itself apart from the crowd through the use of AI tools and services built into the hardware. The device borrows the dedicated neural processing unit within the Kirin 970 chip last seen in the Huawei Mate 10 Pro, which means the device is able to carry out advanced processes such as image recognition and powering an AI mobile assistant.